Hikers awaken an ancient evil on the Appalachian trail. 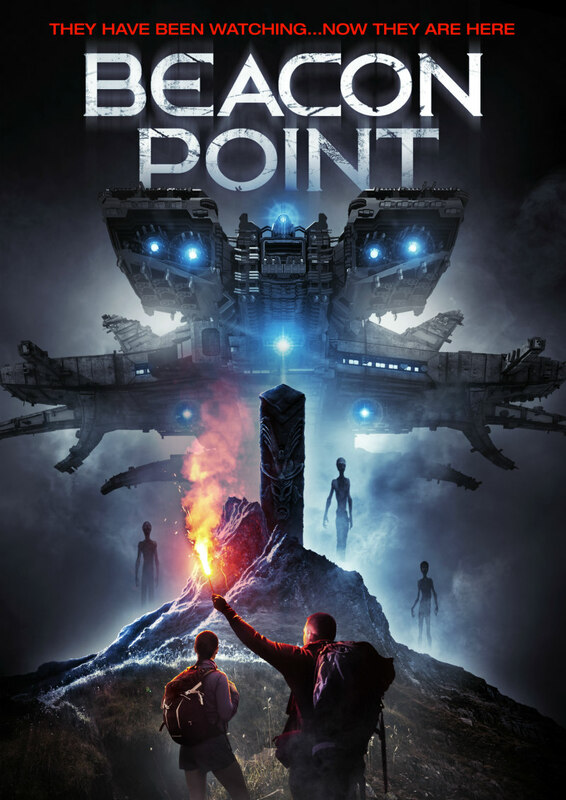 Beacon Point is written and directed by Eric Blue, who has previously only written and directed short films. The film follows a group of hikers who go on a 10-day stroll across the Appalachian Trail; of course, like any other horror film set in the woods, the group gets lost and mysterious things start happening. Sound original to you? The film opens with two hikers getting mauled to death by a mysterious beast, which is clearly not a bear but something more sinister. We then shoot to present time, to our main heroine Zoe (Rae Oliver), who is working as an Estate Agent. This first scene shows some real potential, and it has some sarcastic humour, which I rather enjoyed. Unfortunately, this stopped here. It was like it was a scene from a completely different film, and yes, there are other humorous scenes in the film, but some part of me thinks they're unintentionally amusing. Our other hikers include estranged brothers Cheese (RJ Shearer) and Brian (Jason Burkey), nice guy Dan (Eric Goins) and maniac tour guide who just killed his boss, Drake (Jon Briddell). The character development is there, slightly, but they just aren’t very interesting humans, which doesn’t really make for an enjoyable watch. What's really disappointing about this film is its lack of originality. There are so many horror films in which people get lots in the woods that I have lost count, and so many of them are slightly different replicas of this movie. To make a film in such an overused genre, there should be at least one thing that sets it aside from others Viewers need to be given something different because if not, it just becomes a predictable mess. For me it’s all about the plot in films of this type. Yes, the cinematography is OK, but the acting is mediocre. I need to be involved with the characters and story, and half the time I wasn’t quite sure what I was watching here. Writing this now, I still don’t fully understand what the threat was in the film; I know there was some sort of beast hunting them and something to do with ancient ruins, but it all got a bit lost in translation towards the end, and I found the ending to be unsatisfying with untied loose ends. What I will say about Beacon Point is strangely enough, it isn’t boring. I didn’t find myself straying away from the screen, so it is watchable; just don’t expect to be surprised or scared in any way, shape or form. 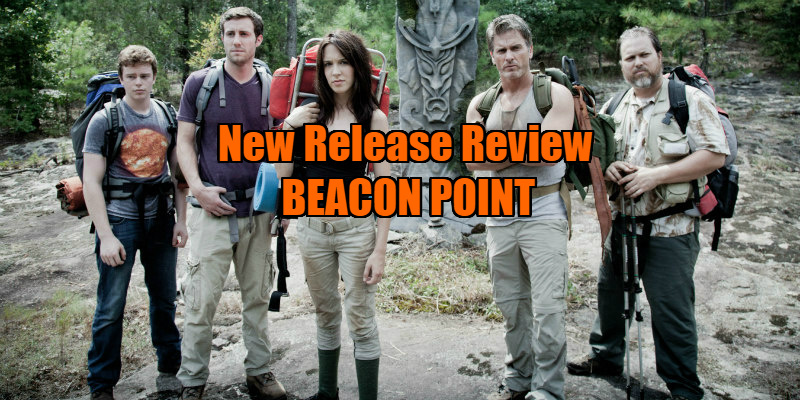 Beacon Point is on VOD May 2nd.